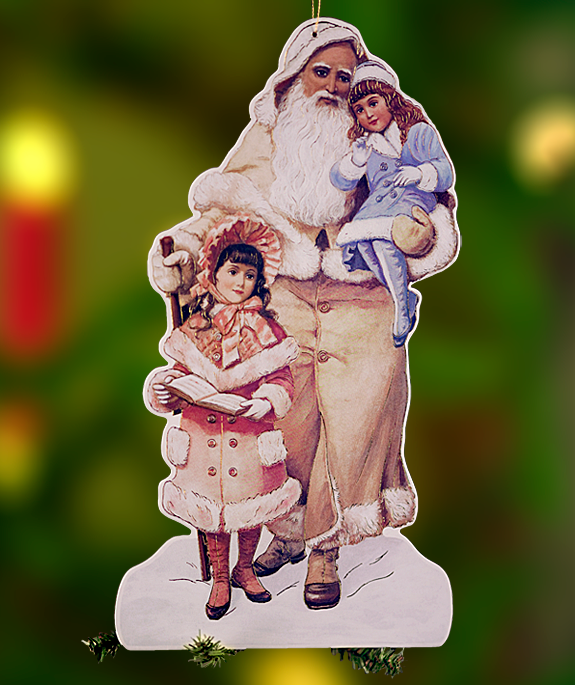 Large, Victorian Santa ornaments with gold accents on heavy cardboard; gold cord for hanging or tying; 9" inches high. You won't want to miss a single one — the whole Victorian Santas collection. There's no need for sleepy eyes to stay up past midnight to see Santa. Besides, why settle for justone Santa when you can have six? Our collection, which makes perfect Christmas tree ornaments or gives a room a wonderful yesteryear decor, will add a perfect touch anywhere in your home. MidnightSanta— ever so quietly —is about toplace a doll in the sock of a slumbering little girl. Christmas Tree Santacarries an evergreen flocked with snow. Wicker Basket Santatakes a load off his back by handing out toys. Santa And Friendsshows a trio of walkers. Fur Hat Santa,bundled up for the cold, is resting his heavy load on the snow. Hooded Santaholds a small Christmas tree and carries a satchel full of toys. We chose to hang our colorful Santas on our Christmas tree, but that doesn't mean you have to. 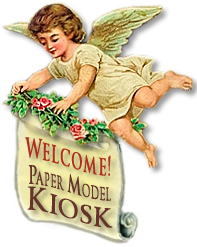 Our collection gives that special, yesteryear, touch to Christmas garlands and wreaths. Our Six Saint Nicks will brighten a room by simply hanging, anywhere, by their golden threads. And there's no worrying about getting the right-side to show: all the Santas are printed on both sides. Size: 4 x 9 inches.